OurTime is one of the most popular senior dating sites in Canada. This site not only understands what it is to be over 50 but celebrates this exciting chapter of our lives. It provides men and women older than 50 with the opportunity to meet like-minded users in the area. The people behind the site focus on the specific interests and desires of this age group. With OurTime, everyone has an equal chance to find their significant other. This detailed OurTime review will give you an insight into the possibilities and main features of this site. The sign-up process has a few easy steps in which you provide basic information about yourself – who you are interested in, your area of residence, zip code, date of birth, and email. Then you are asked to upload your profile photo (up to 30 of them) and to answer a couple of questions concerning your personality and preferences (you may skip both if you do not feel like doing it at the moment). The entire process is extremely simple, it does not take more than 3 minutes, and it does not require that you are computer-savvy, which is important bearing in mind the member structure of the site. At the end of the process, you will be prompted to subscribe in order to unlock all the features available to premium users. This step can also be skipped, although you will not be able to explore the site in its entirety if you choose to do it. Afterward, you can quickly jump to your home page, where you can check out, flirt with or send messages to your potential matches. You’re Never too Old to Date – Try OurTime! Although the website is not among the most richly designed you have ever seen, it is obvious that its main purpose is to be functional. It is successfully adapted to its member structure, so it is extremely easy to navigate and understand from day one. Everything is neatly organized and you will have no problem getting used to it and finding your way to any desired feature. Your homepage is a large feed of potential matches you can easily scroll through, seeing their profile picture, age and location, and you can start showing interest in your potential matches right away. The site works like clockwork, offering you a pleasant user experience, with no fear of any technical issues. You can also use it via a mobile phone application. Whereas the site contains most of the regular dating site features, it enables you to enhance your chances of success even if you are a free user. Without a subscription, you may see other users’ profile pictures, age, and location, send them flirts (similar to liking or poking) or private messages, show that you are interested or chat with those currently online. The search feature offers many filters to choose from, based on your preferences, so you can choose your potential matches according to different criteria, such as body type, status, religion, ethnicity, age range, location, and more. The platform has an algorithm that shows you new matches every day, so you have a lot of opportunities to connect with different people that suit you (provided that all the information on their profile is accurate). However, as already mentioned in this OurTime review, if you want a complete experience, you need to become a premium member. 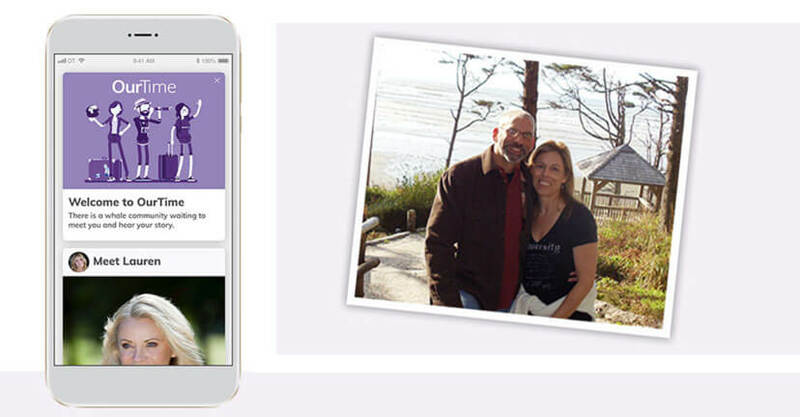 With the paid subscription, you get access to special features, like Promote Me (highlighting your profile), Connect Me (chatting offline), Virtual Gifts, Profile Pro, and more, that significantly increase your chances of finding your soulmate. The site is focused on a certain age group (50+), although anyone older than 18 can sign up. Other than that, the user structure is very diverse, with people from different backgrounds and with various hobbies, interests, and stories to tell. Even though there are some fake profiles on the site, the people behind it do everything they can to keep trolls and spammers away from the real users who seriously want to find someone. With more than 8 million global visits, there is an opportunity for everyone to find a soulmate on this site. Even though this is an international platform, most of the users come from America and there are about 180 thousand active users per week, with women slightly outnumbering men (55-45%). To conclude this OurTime review, this dating platform is among the most popular senior dating sites with a good reason – it is easy to navigate and use, it has many options even for non-subscribers, and it gives you plenty of opportunities to find a person that suits your needs and preferences. 50+ is, unfortunately, a neglected demographics in online dating, but OurTime is dedicated specifically to older adults looking for love – and it can help you find love, friendship, and companionship, too! Once you actually get into the concept of this site, it becomes quite funny and entertaining. I had a couple of good talks and solid dates, but I have not clicked with anyone as I would like. Still, I like my chances and I will keep trying. It worked for me. Seniors do not have much chance to find anyone interested in them, so I decided to try out the site, and it paid off. I found me a perfect woman to fulfill all my dreams. I have been using the site for six months, and I still have not found anyone who is remotely interesting to me. What a waste of time and money!